Diamonds hit the spot - Contemporary showstopping diamond engagement ring. 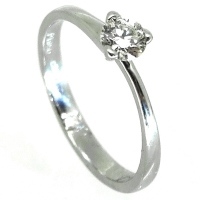 An incredibly glamourous 18ct white gold and diamond engagement ring. 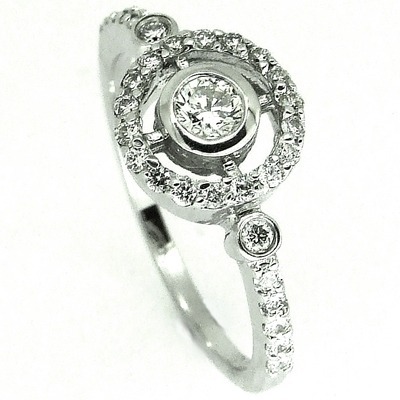 The outer circle is encrusted with diamonds whilst the inner area is a single diamond set in 18ct white gold. The band, also 18ct white gold, is lined halfway round with diamonds for comfort and style.